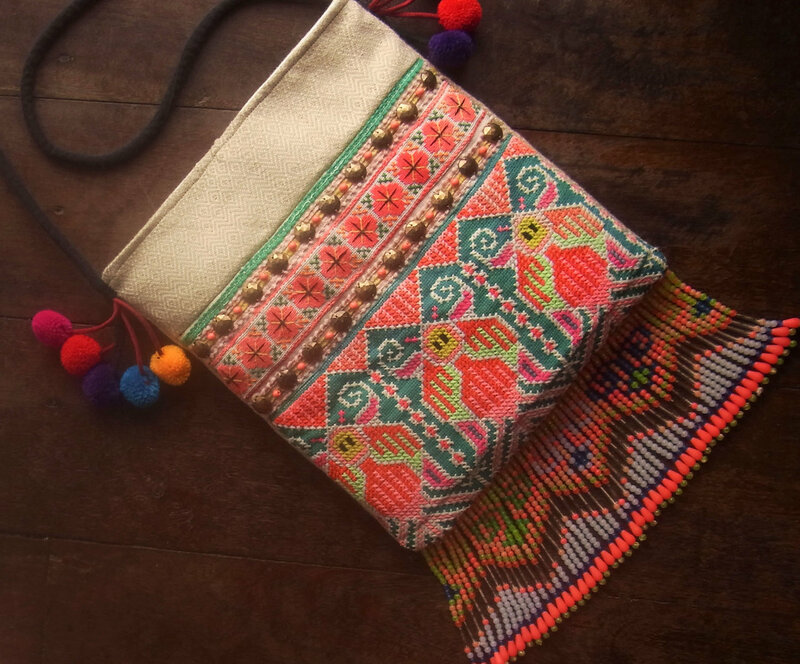 I tend to obsess over hippie, bohemian and gypsy themed accessories. 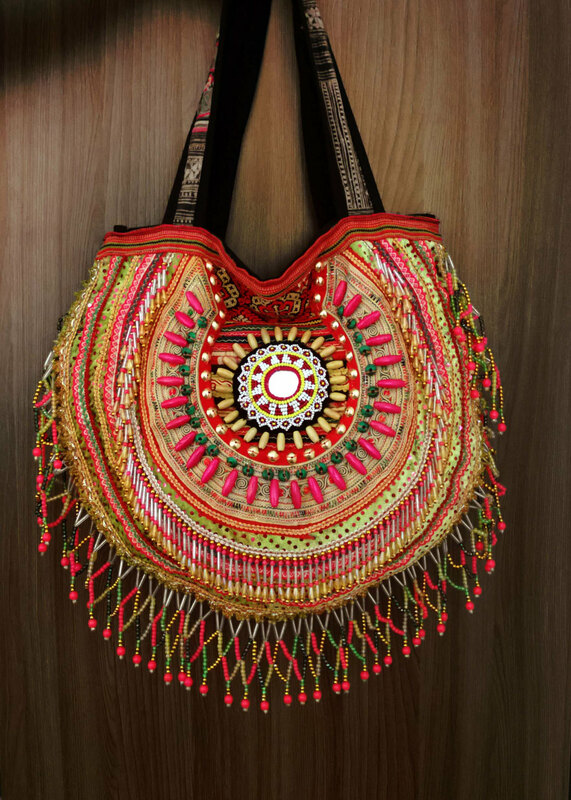 It is probably because I like my bags and necklaces with an explosion of color but have a structured, functional shape. Realmlistic on Etsy has great products that have all these pompoms and fringe details. This one is pretty functional as a cross-body purse, which is perfect for shopping, concerts and the beach. This last one is from Girlwitharadiomind on Etsy. 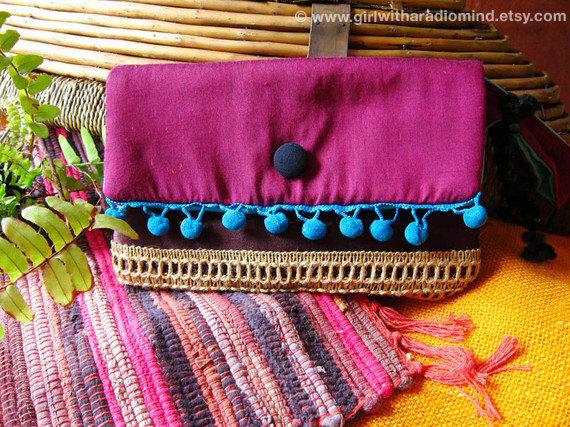 I’m feeling the pompoms and the earthy woven bottom to balance out the loud colors.